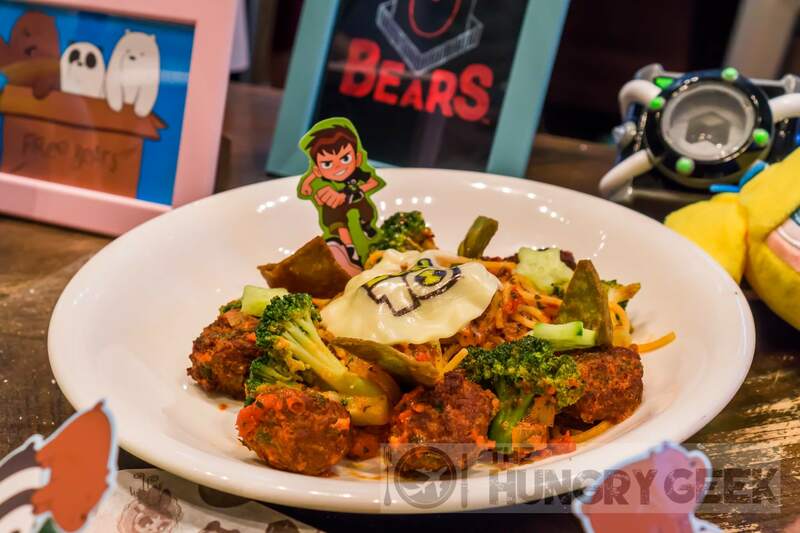 Cartoon Network Cafe – We Bare Bears, Powerpuff Girls and Great Food! 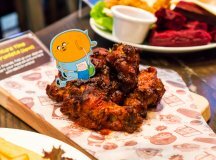 Introducing the Cartoon Network Cafe at Punggol Waterway Point, with all of the network’s cute cartoon characters and delicious food! 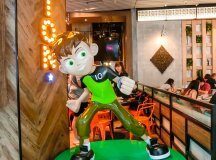 With life-sized characters from the Powerpuff Girls, We Bare Bears, Ben 10 and Adventure Time, Instagrammers and kids alike will have a field day. 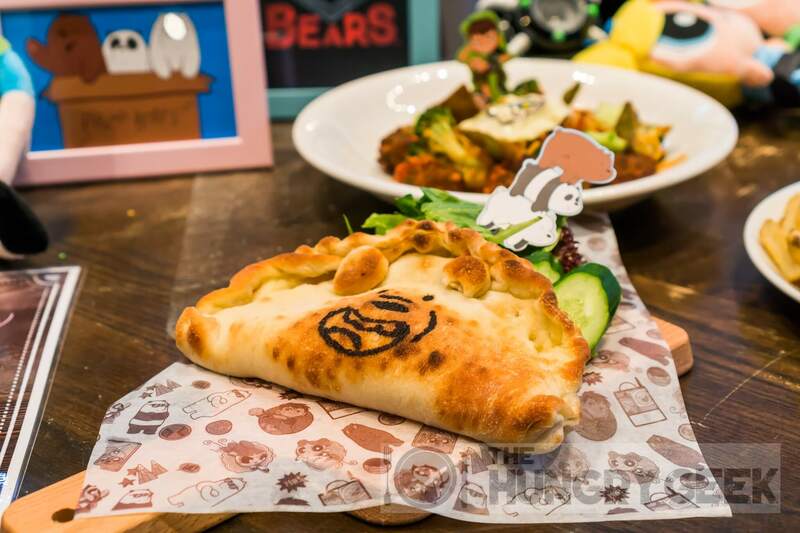 The Cartoon Network Cafe has been launched by The Soup Spoon Union, the same people that are behind the super successful Gudetama Cafe at Suntec City. 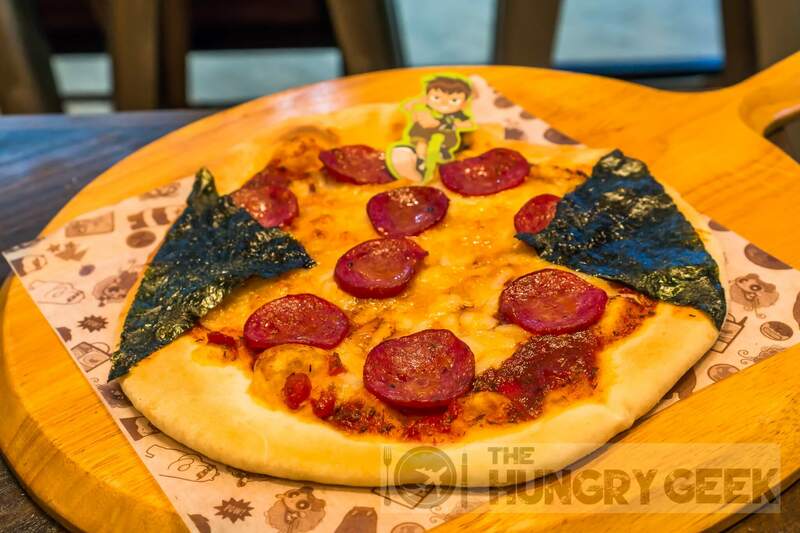 We have previously reviewed and visited multiple theme cafes such as Craftholic Cafe, Hello Kitty Cafe and Pompompurin Cafe and we must say that the food at Cartoon Network Cafe has surpassed our expectations. The food here is really good. 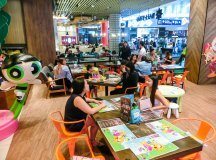 Unlike some of our other theme cafe reviews where we actually do not rate the food for obvious reasons, we are happy to do so here. 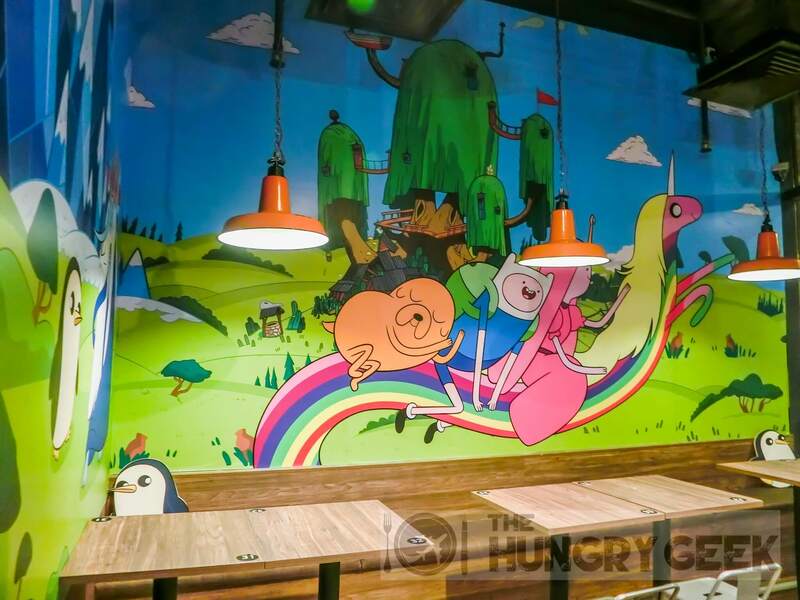 These are some of the cartoon characters that we found all around the Cartoon Network Cafe. 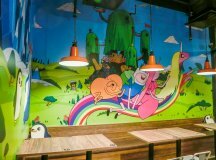 The Cartoon Network Cafe is having their official launch on Saturday, 18 November 2017 at 12 noon. There is a chance that the cafe won’t be overrun with people on the first couple of days. However, once the news spreads, we can expect the usual 2-3 hour queues as with all theme cafes. We suggest calling to check the queue lengths before coming down. You won’t go wrong with the meat dishes here. We particularly enjoyed their Clam Chowder Soup, Baked Fries and Meatballs, Blossom’s Grilled Chicken Steak, Root Beer Float and their Grizzly Milk Shake. If you are a burger person, their Grizzly Beef Burger is pretty good as well. 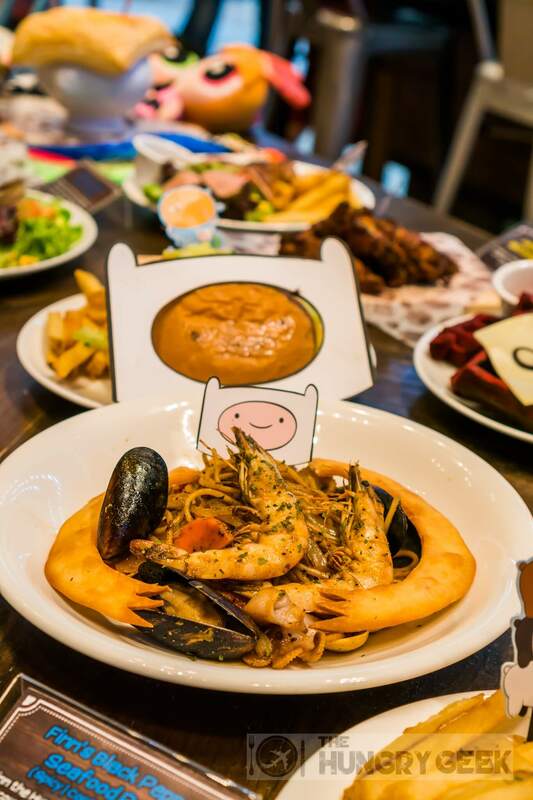 The full spread of mains and appetizers at the Cartoon Network Cafe! One of their appetizers is this delicious Powerpuff Potpie Clam Chowder. So the typical chowder may have some bread to go with it. 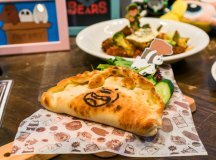 Cartoon Network Cafe puts a huge piece of puff pastry above the soup! We don’t see this too often. The puff pastry on top serves two purposes – it makes it look awesome as a soup dish, and it keeps the soup nice and hot. Once you dig your spoon in, flakes of the pastry falls into the Clam Chowder for you to dig in. The perfectly crispy puff pastry when paired with the nice and creamy Clam Chowder is incredible! There are chunks of ingredients in the Clam Chowder, and we must say that this is a very filling dish. We rate this 4/5 and it is priced at S$10.90. We all know about the baked rice dishes. 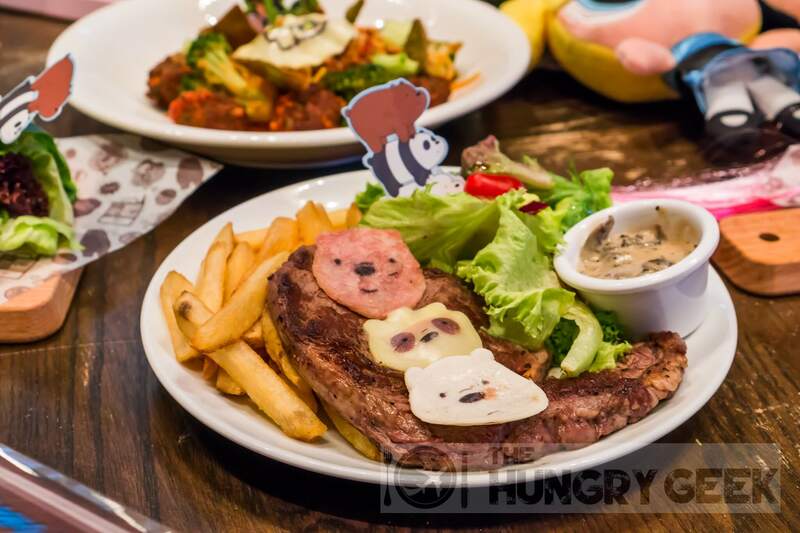 Here at Cartoon Network Cafe, they have this fantastic baked fries and meatball dish! So basically you can get that melted cheese effect together with their delicious meatballs and fries. 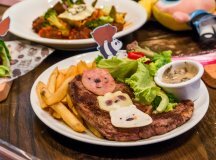 Unlike other theme cafes, the Cartoon Network Cafe actually spends the time trying to perfect the seasoning of their dishes. The meatballs here are seasoned to perfection and exploding with a nice rich flavour. The pairing with the cheese is just incredible. 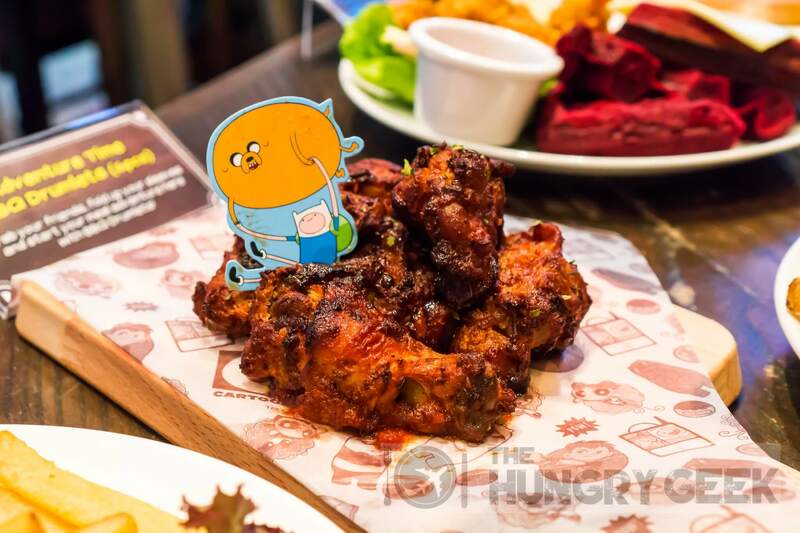 We rate this delicious combination a super delicious 4.3/5 and it is priced at S$8.90. They could have done with a tad less salt, and I think if that’s corrected (as we have provided the necessary feedback), this may be one of the nicest meatballs anywhere around. On the flipside, as the fries are at the bottom under the meatballs, they tend to get a bit wet if you take a bit too long to finish the plate up. This piece of chicken steak is really nice. It is again seasoned perfectly just like their meatballs. The chicken steak is paired with mushroom sauce – and this is not just the typical mushroom flavoured cream, the sauce is filled with chunks of mushroom! 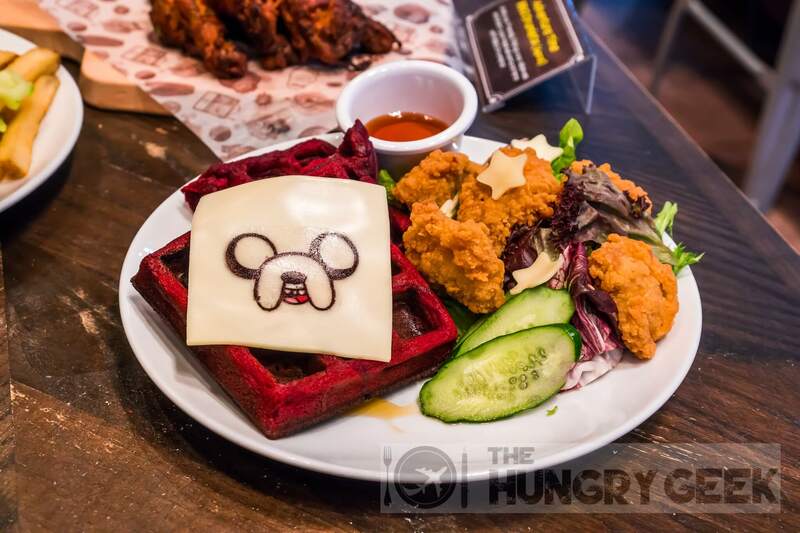 The Cartoon Network Cafe is not playing around here when it comes to their food. The french fries here are really good as well. These are not the pre-cut frozen fries, but they are the handmade cut fries, as can be seen from the bits of skin left around the fries. They are seasoned very nicely as well, and the crispiness level is just perfect. 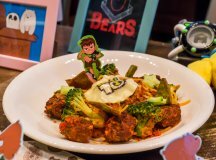 We rate this whole dish 4.2/5 and it is priced at S$14.80. This is really a fantastic beef burger. With cheese sausages on top of the burger as the ears of Grizzly, within the burger there are layers of onion rings, a fried egg, lettuce, tomatoes, and that nice thick slice of beef. The beef patty is seasoned perfectly. The onion rings have real whole onion slices inside them, unlike the usual mashed up ones that you get elsewhere. The buns are a soft and light bread, and the whole combination went really well together. We rate this burger 4.2/5 and it is priced at S$18.80. We’ll go through the drinks first. They have this delicious Blossom Strawberry Soda concoction. For those that have watched the Powerpuff Girls, you should be reminded of that laboratory beaker with this strange pink liquid. You pour the beaker with the red liquid into that other beaker with ice and some red cotton candy on top. The cotton candy is dissolved and the ice is mixed nicely with the strawberry soda! It is a perfect Instagram treat and we must say, who doesn’t like strawberry soda with that tinge of lemon. 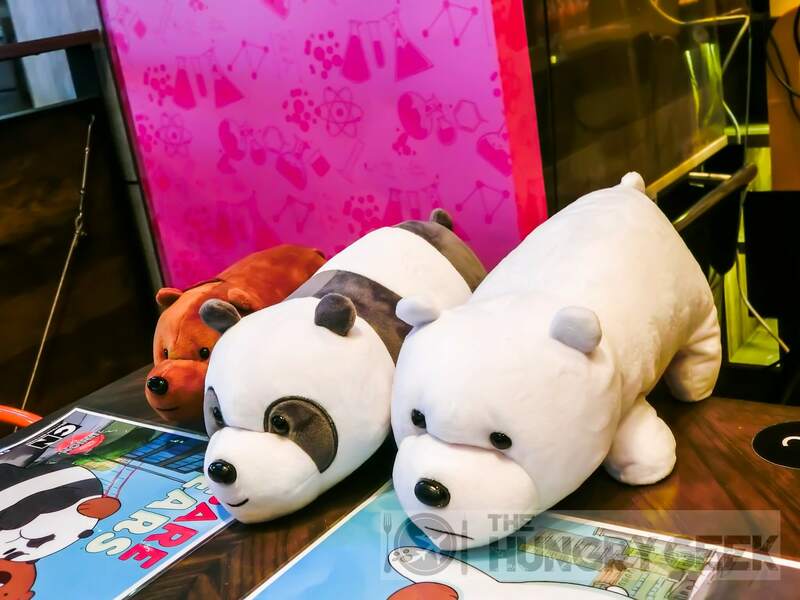 We rate it 4/5 and it is priced at S$10.90. 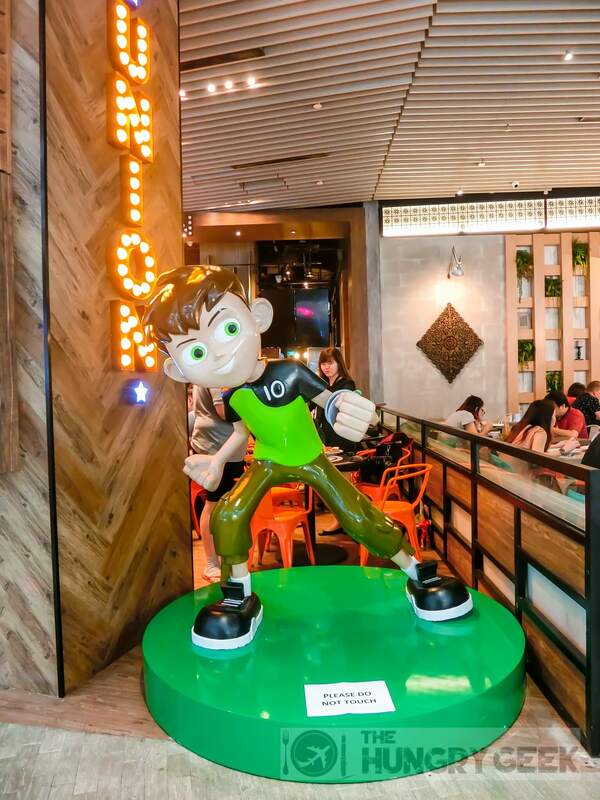 Next they have this Ben 10 Rootbeer Float. This is a perfectly balanced root beer float in terms of the proportion of the vanilla ice cream, the ice and the root beer. As a bonus, there is some grass jelly at the bottom! Mix the ice cream nicely into the root beer, and you have this super incredibly creamy sparkling root beer that is just so delicious. We rate this 4.2/5 and it is priced at S$8.90. Finally on the left we have their Powerpuff Vanilla Milk Shake. As with all theme cafe things, this is not your plain old ordinary milkshake. There is a macaron on top with Bubble’s face imprinted on it! And we must say that the taste of the vanilla milkshake within is incredible as well. It is rich and creamy, just exploding with flavours and taste. We rate their milkshake 4.2/5 and it is priced at S$14.90. Here’s some pictures of all the other food that we could see but did not get the opportunity to taste. 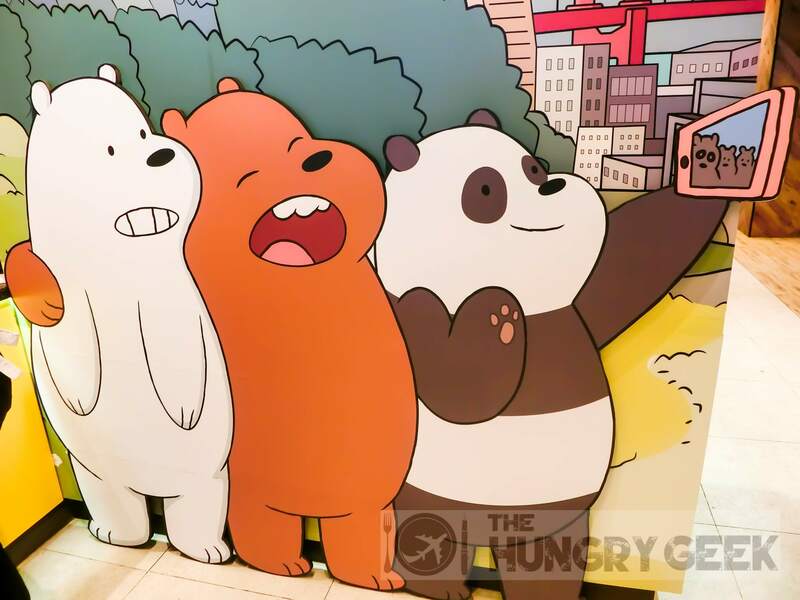 From left to right and top to bottom – We Bare Bears Angus Beef Ribeye Steak, Pan-Pan Calzone, Omnitrix Pizza, Finn’s Black Pepper Seafood Pasta, Finn & Jake’s Chicken with Red Velvet Waffles, Ben 10’s Meatball Spaghetti and Adventure Time BBQ Drumlets. 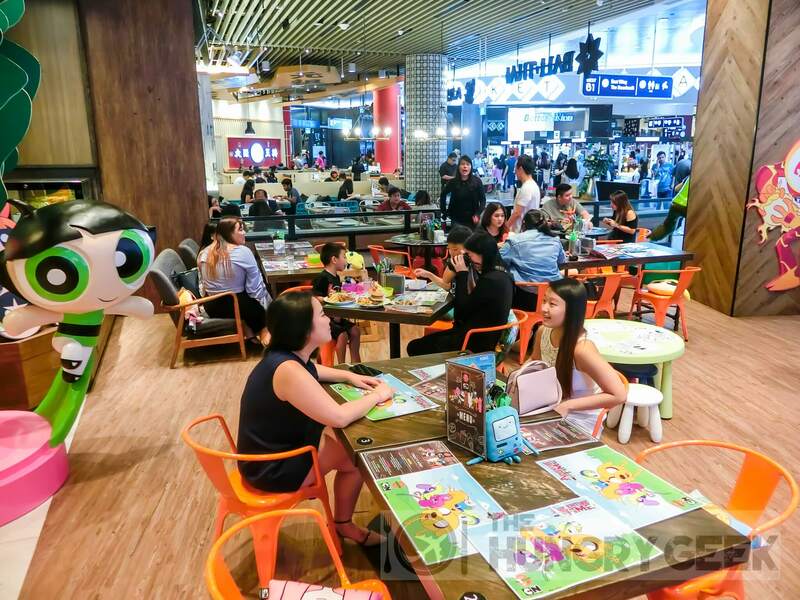 We all know the typical cookie-cutter theme cafes, with the super cute food dishes and the theme decorations and designs all around the cafe. 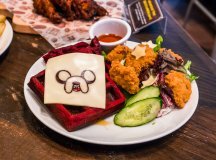 The Cartoon Network Cafe takes it one step further with food that is actually pretty delicious. For those familiar with our food reviews, we don’t give a super delicious rating of above 4.2/5 lightly, and it means that we found the dishes really well done. It remains to be seen if they can keep up the quality of food with the inevitable super long lines of people that will be showing up for sure. If you want to see more delicious food reviews like this, please LIKE our Facebook page and FOLLOW our Instagram! The Powerpuff Girls, We Bare Bears, Ben 10 and Adventure Time! Lola’s Cafe – Truffle Fries & Honey Paprika Wings In "Singapore Cafes"
To-gather Cafe – OMG Green Tea Molten Lava Cake! 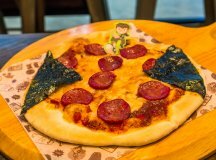 In "Singapore Cafes"
Refuel Cafe – The Hidden Gem @ Bedok Reservoir In "Singapore Cafes"